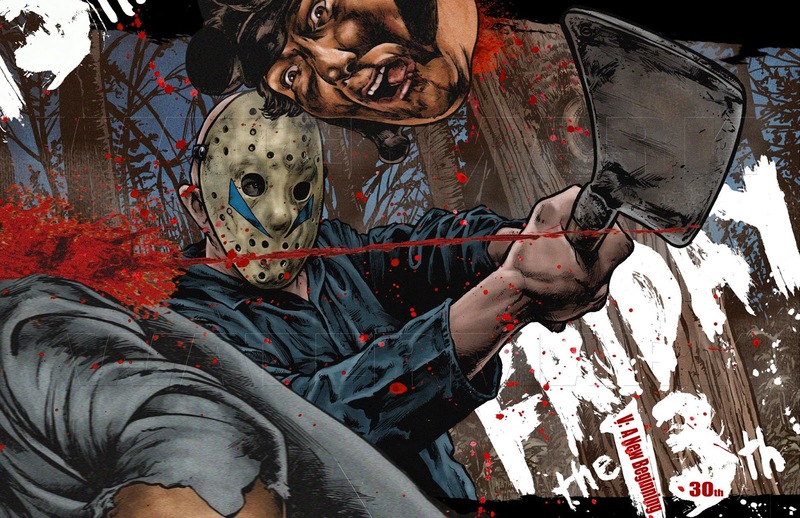 Artist Nathan Thomas Milliner is well known for his Friday The 13th artwork that he has created throughout the years. His Friday The 13th Part 2 collage art is spectacular, but Nathan has also contributed his talent to Horror magazines and Blu-Ray covers of re-released cult films as well. Fans should be excited to know that he is offering a brand new art print celebrating the 30th anniversary of Friday The 13th: A New Beginning and it is available for one day only. Check out the art below, which depicts the infamous decapitation scene of Junior in the film. Obviously, the actual act of the decapitation was never witnessed on-screen so this is a real treat for fans of the film. This is only available until 1PM Eastern time and you must contact Nathan on his Facebook page to reserve your print. If you're a fan of the film and like Nathan's work, this is a must have!